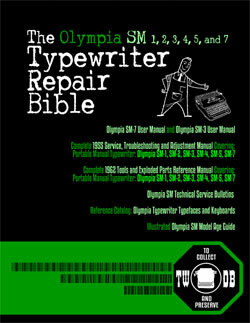 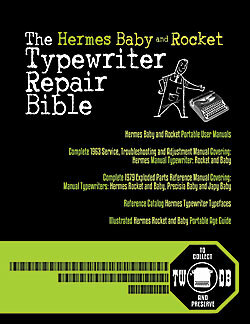 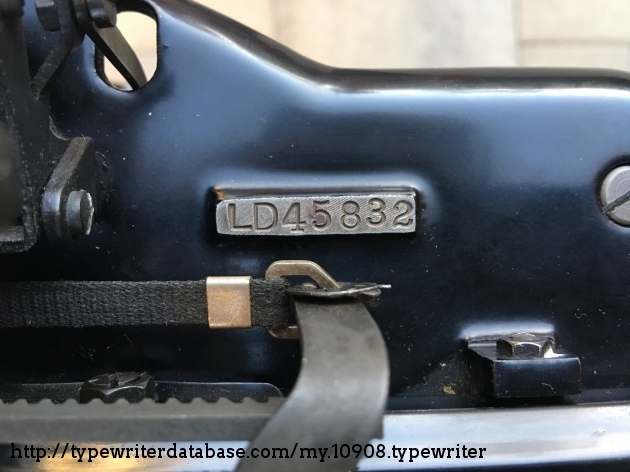 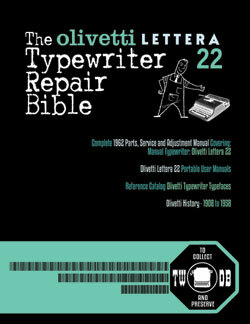 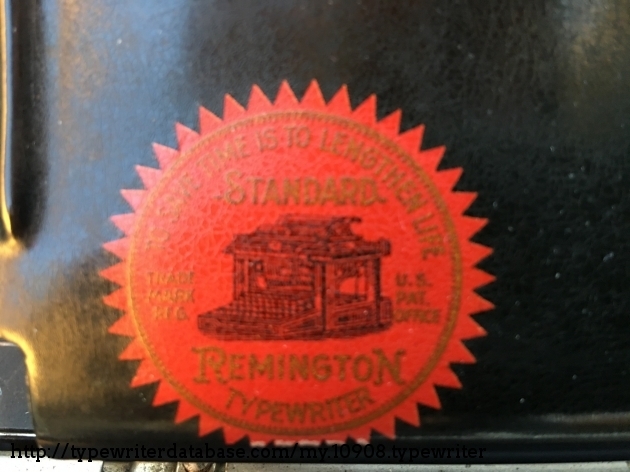 Erik Bruchez 1924 Remington 12 Serial # LD45832 1924 Remington 12 typewriter, Serial # LD45832 Erik Bruchez's 1924 Remington 12 typewriter. 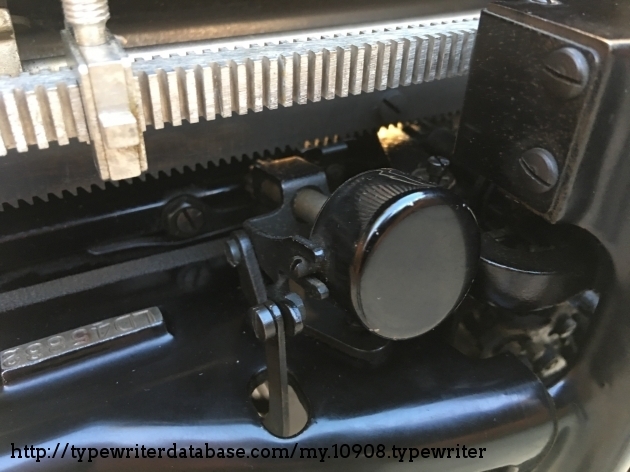 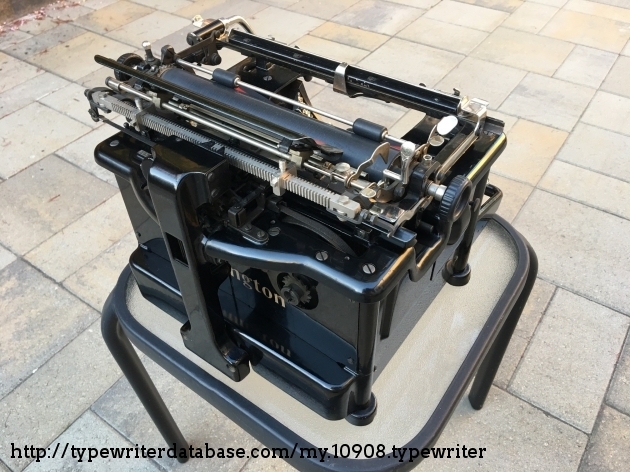 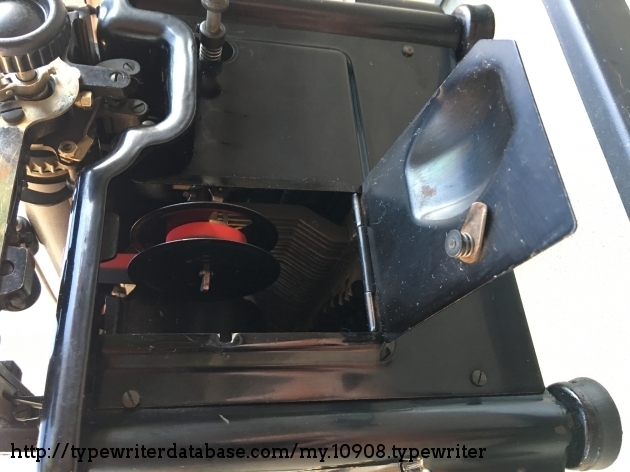 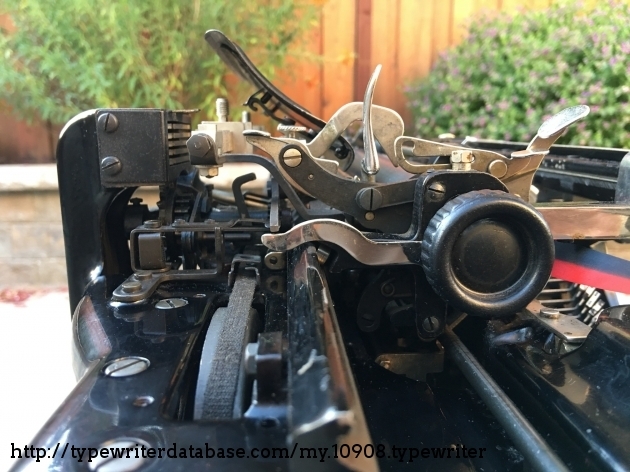 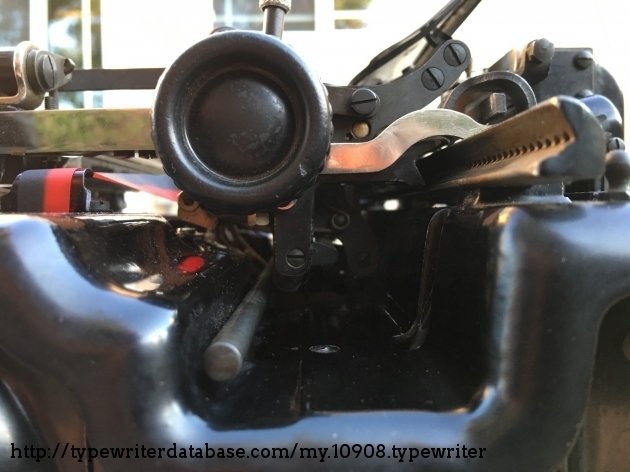 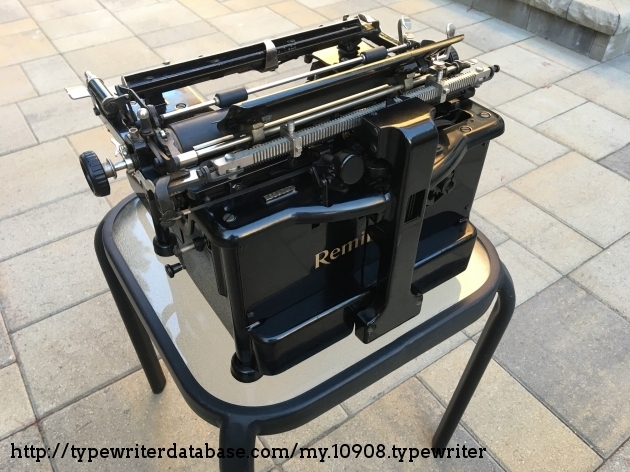 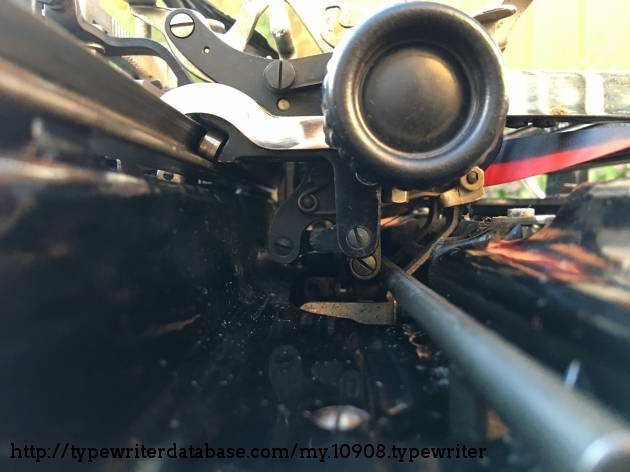 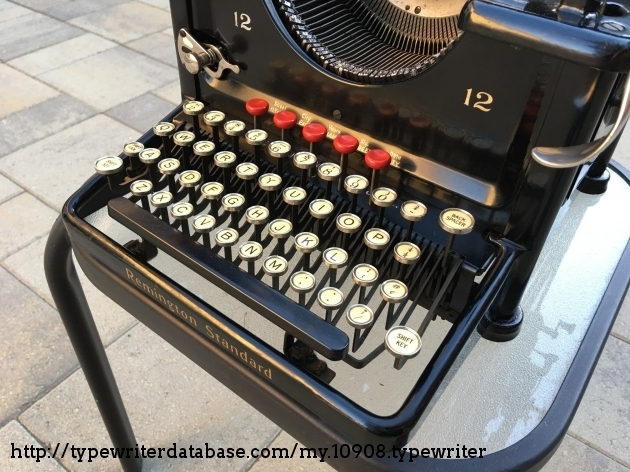 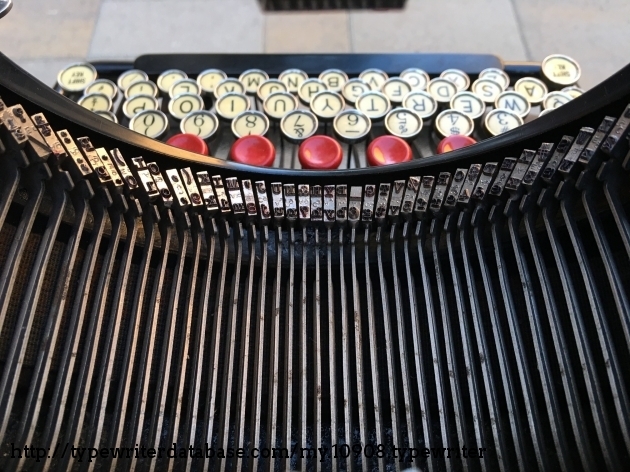 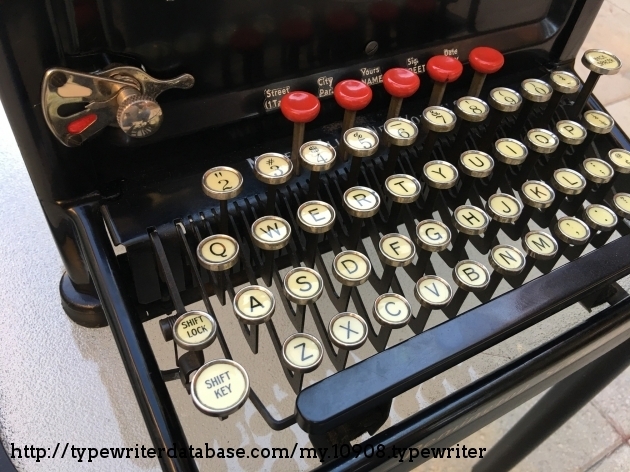 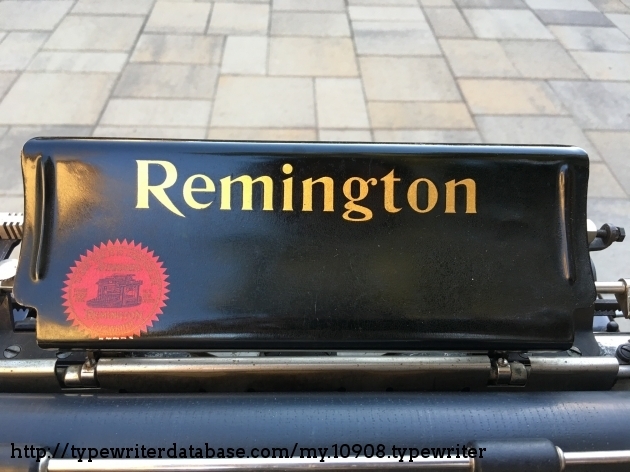 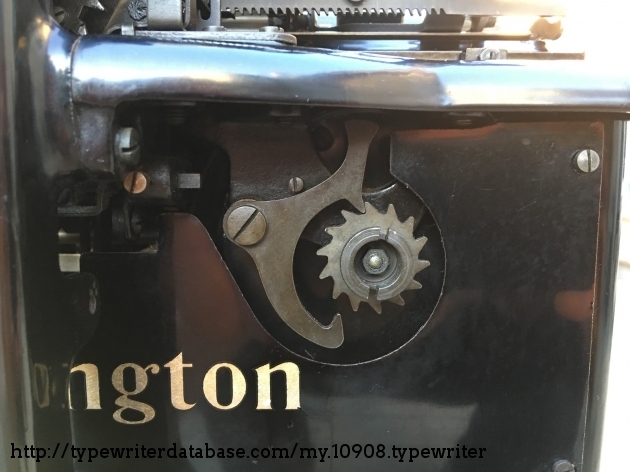 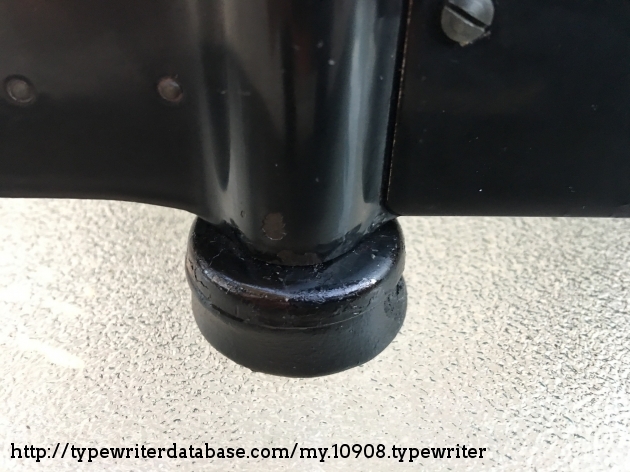 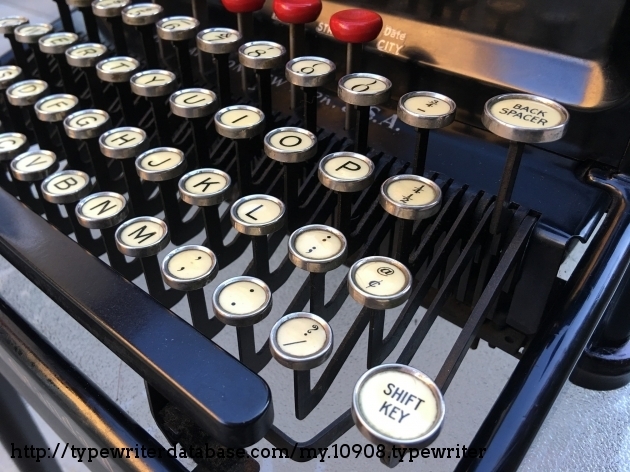 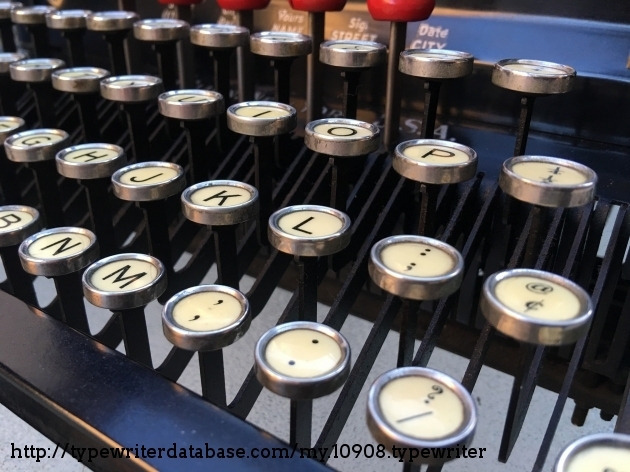 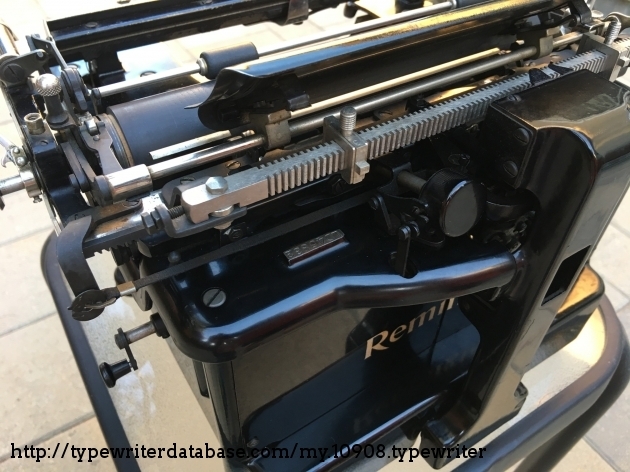 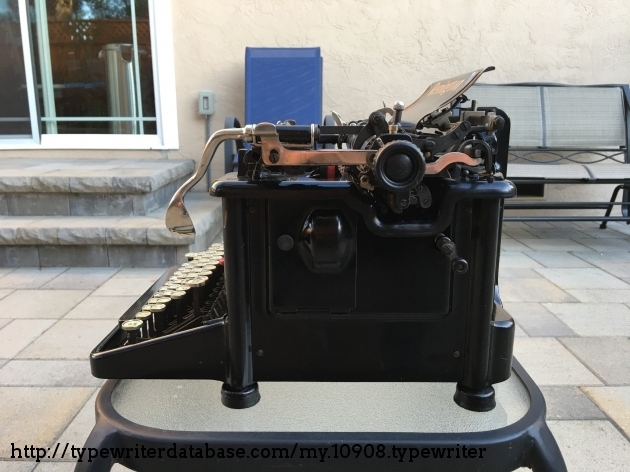 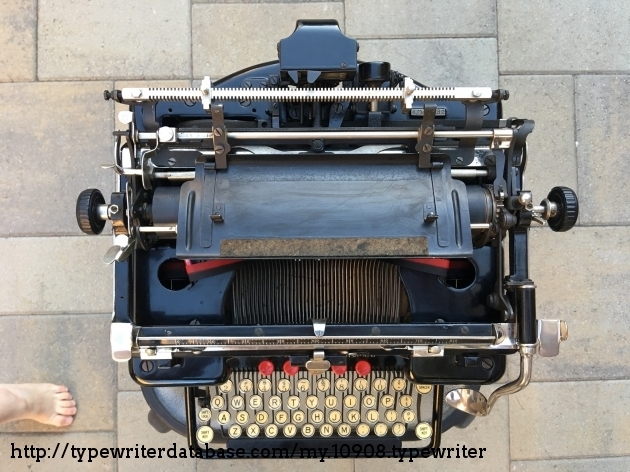 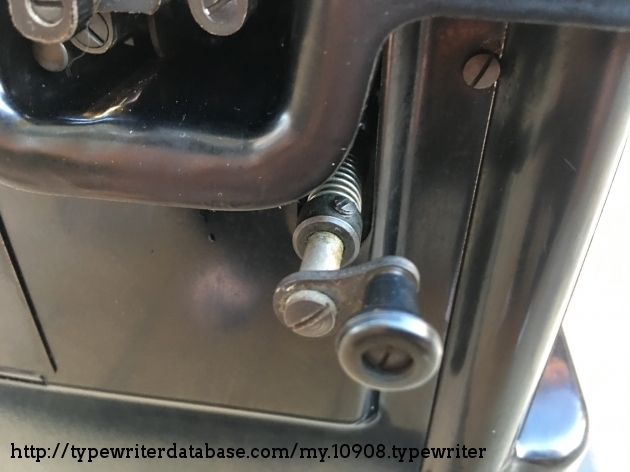 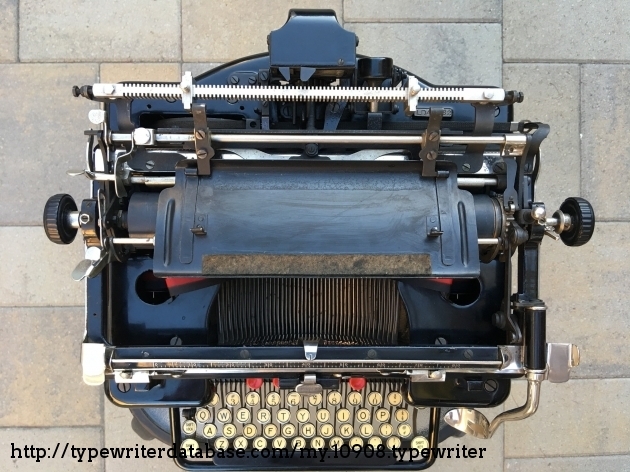 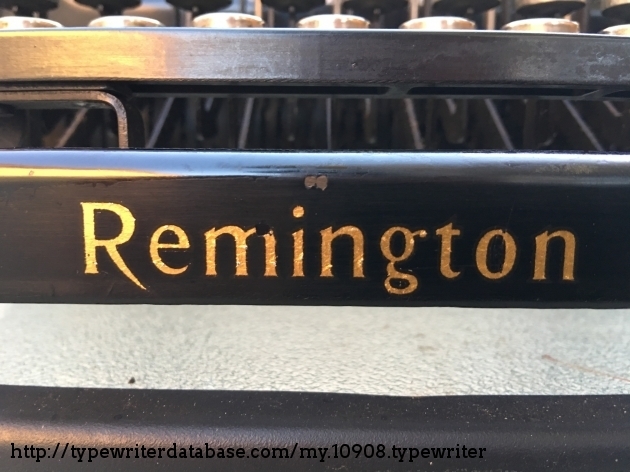 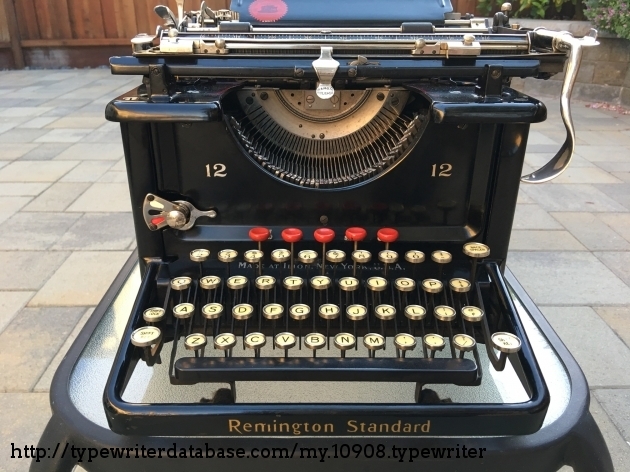 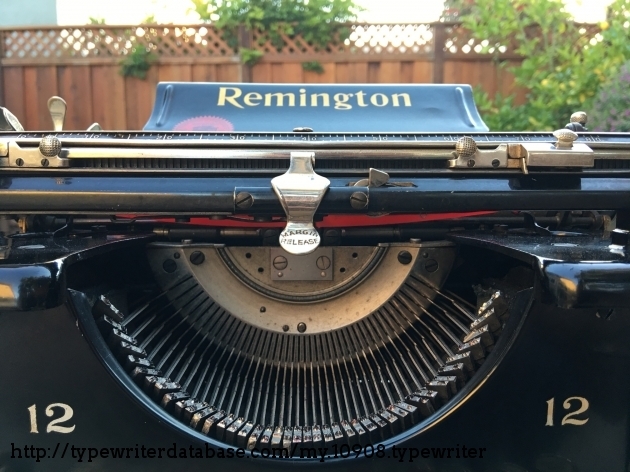 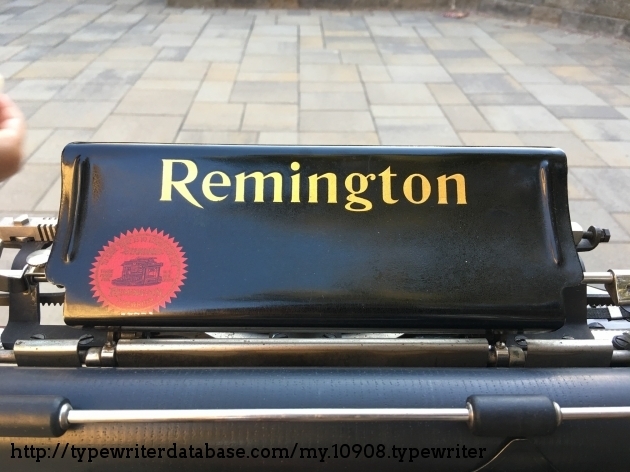 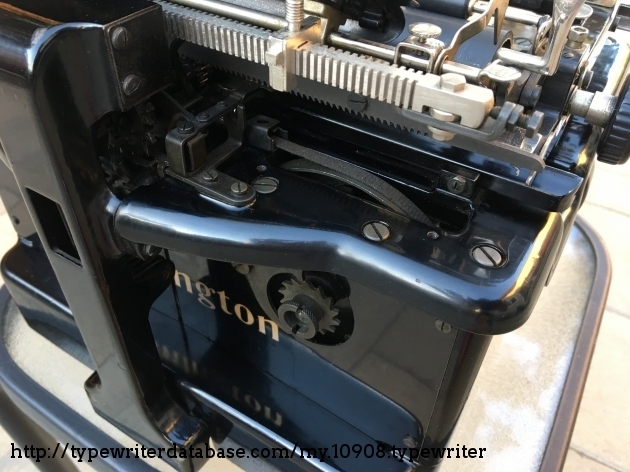 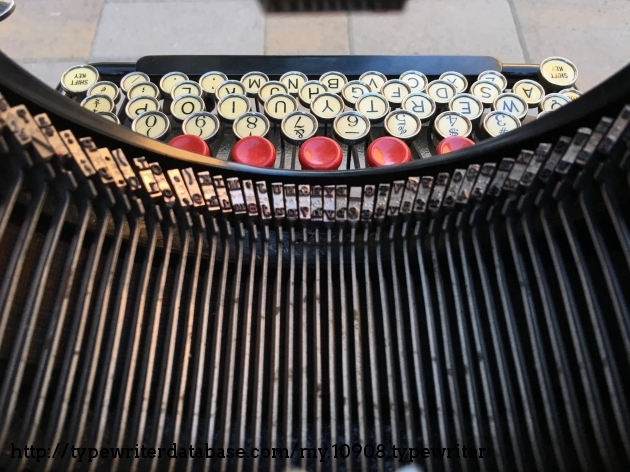 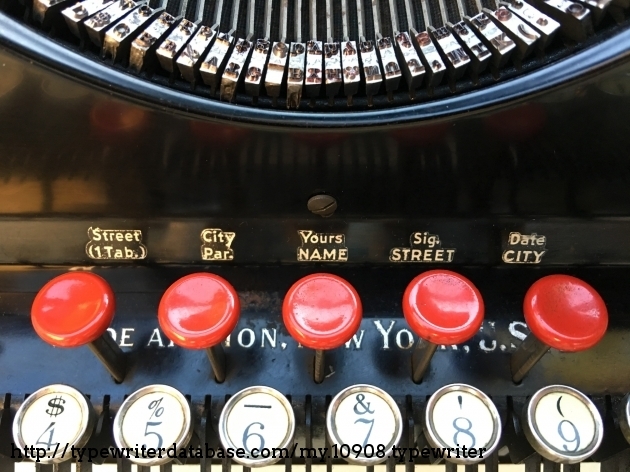 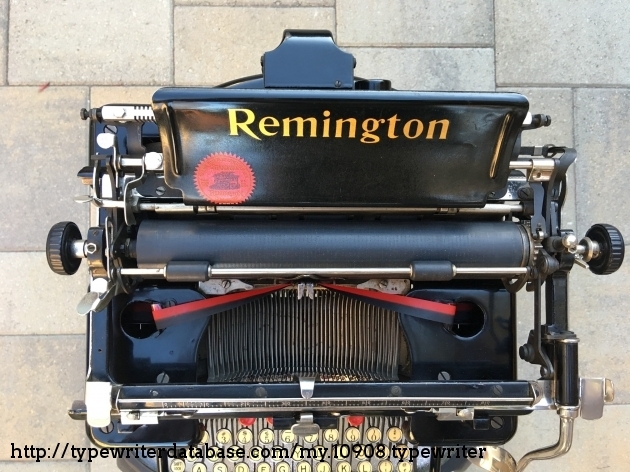 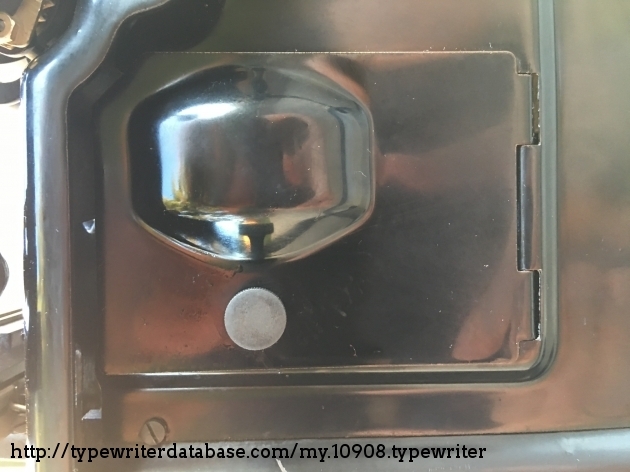 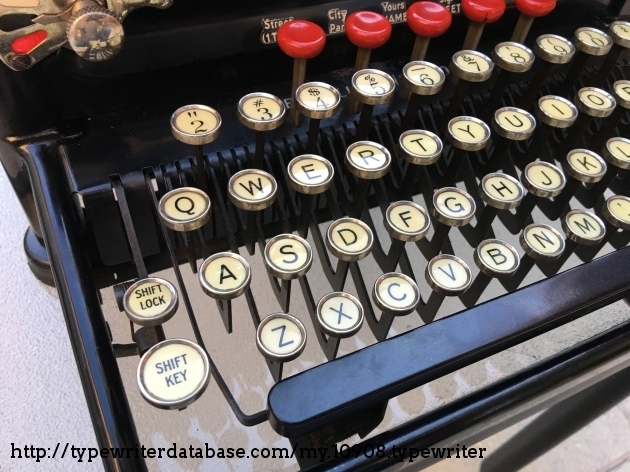 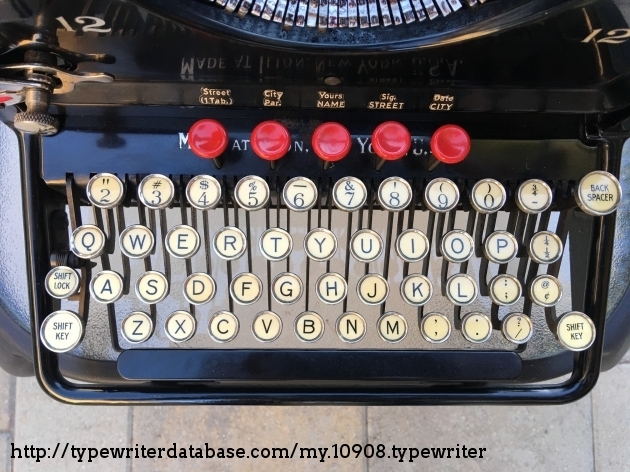 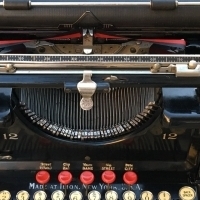 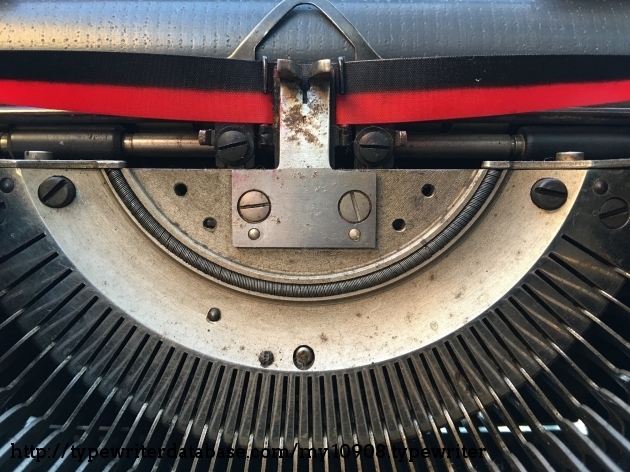 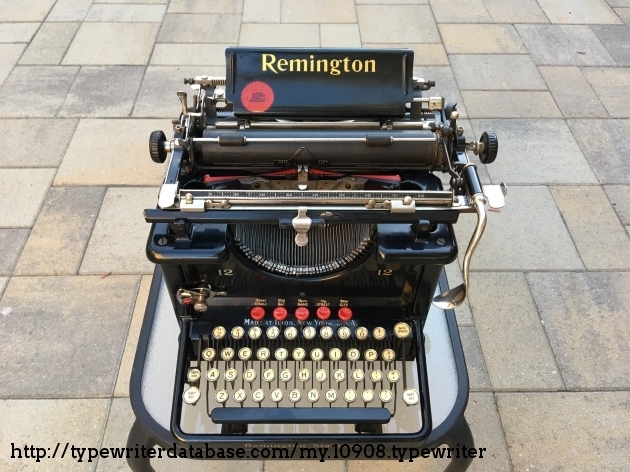 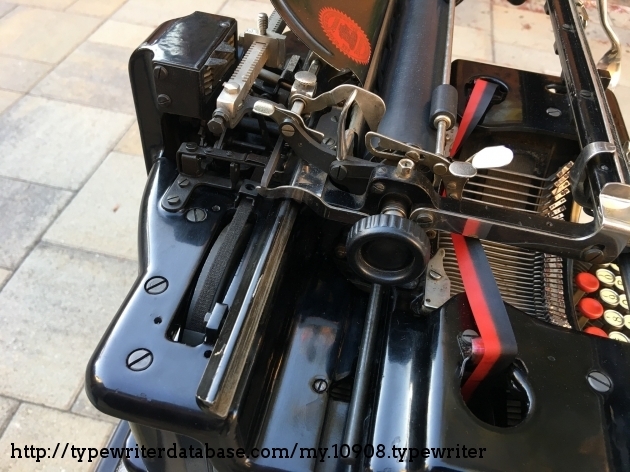 2018-06-18 2019-01-07 From the Virtual Typewriter Collection of Erik Bruchez: 1924 Remington 12 Serial # LD45832 This is maybe the most beautiful machines I have. 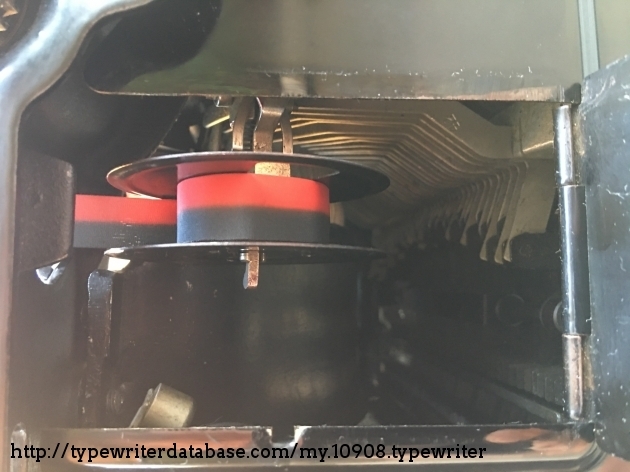 For a 12, it is in great condition. 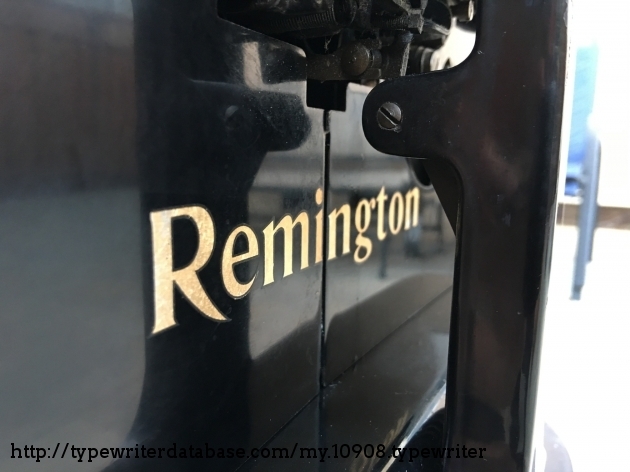 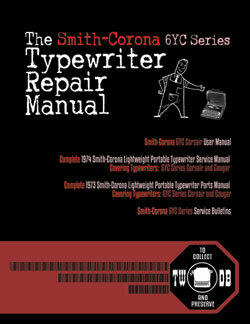 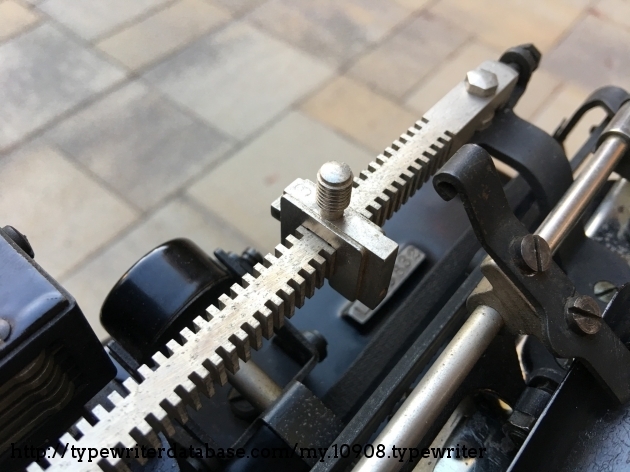 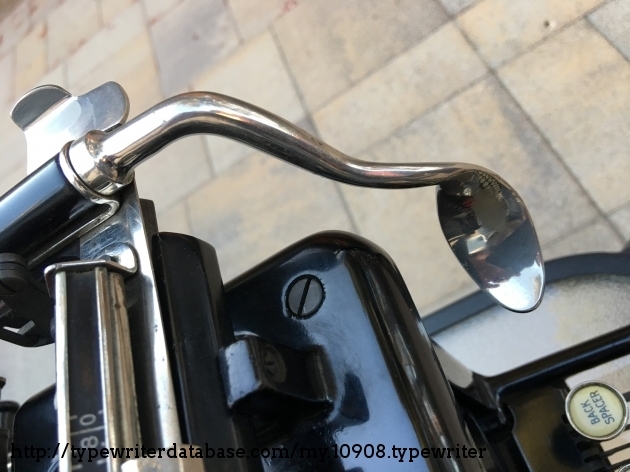 I love the right-hand side return lever - which this machine inherits from the Remington 2 from 1878! 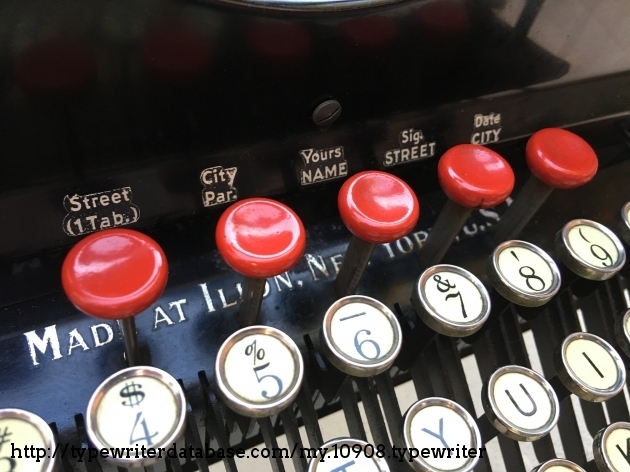 I love the tab system, which allows you to jump directly to a tab position. 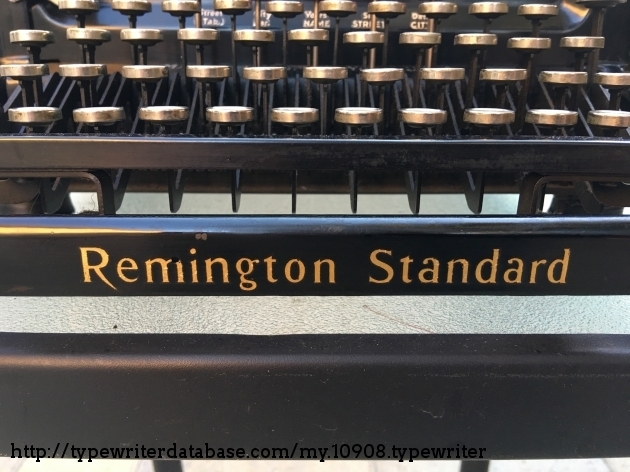 This was a pretty good system, which the Remington 10 had already. 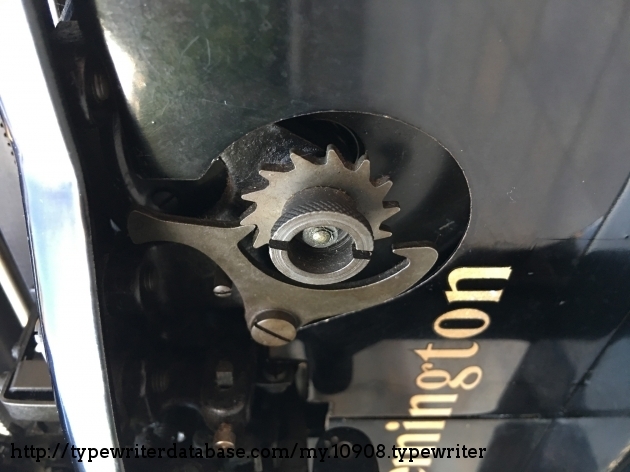 I did not attempt removing the carriage on this machine. 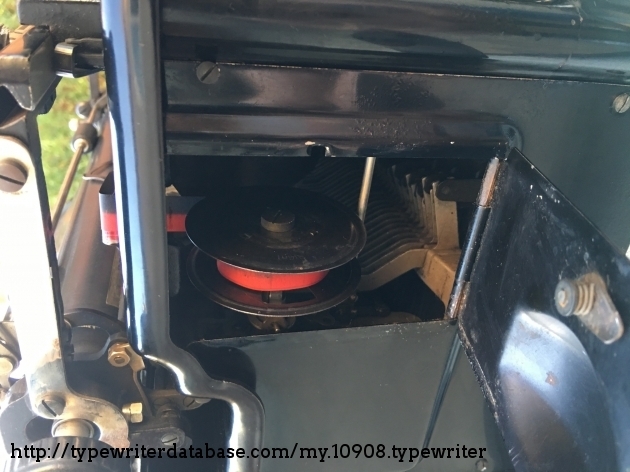 But I removed all panels and cleaned inside as well as I could. 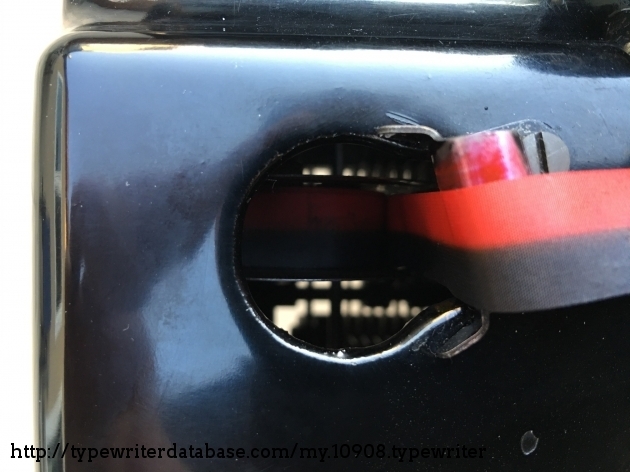 I wouldn't mind finding some of the missing tab stops - only 2 are left out of the 5 original ones. 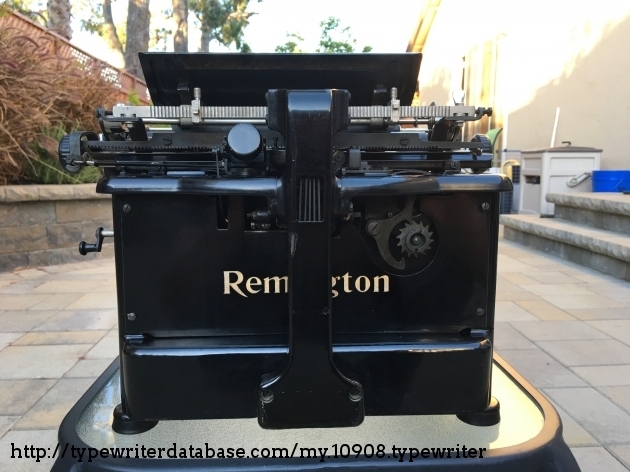 This is maybe the most beautiful machines I have. 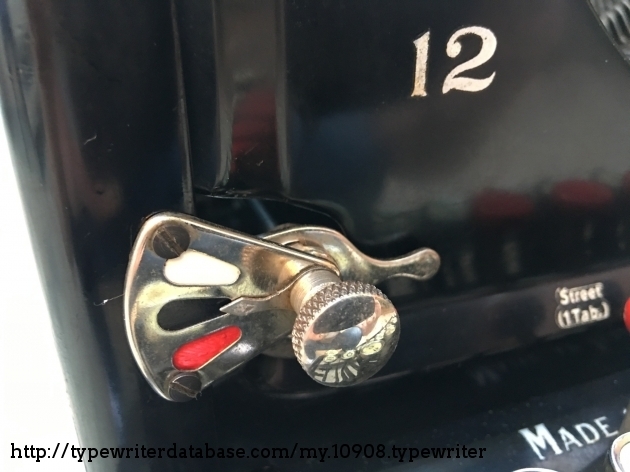 For a 12, it is in great condition. 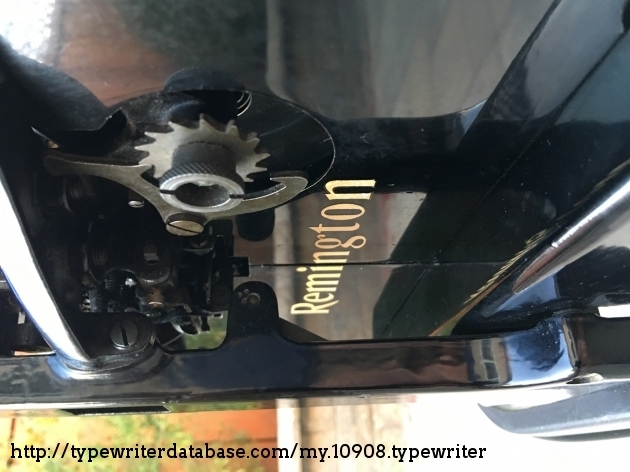 I love the right-hand side return lever - which this machine inherits from the Remington 2 from 1878! 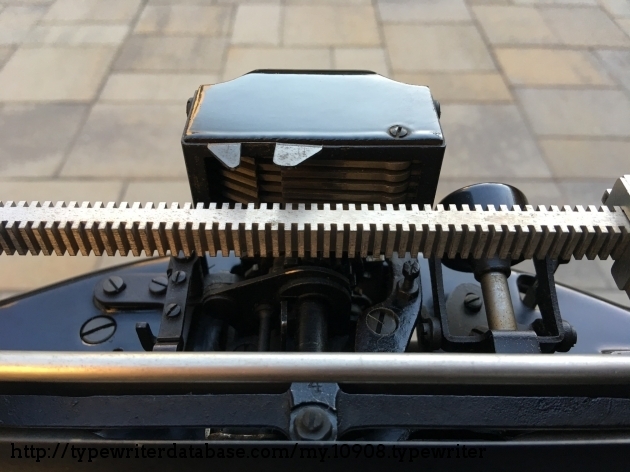 I started collecting my first pre-WW2 standard typewriters in 2017. 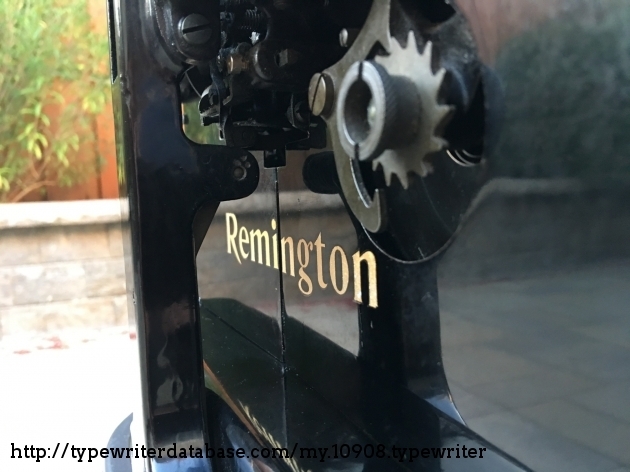 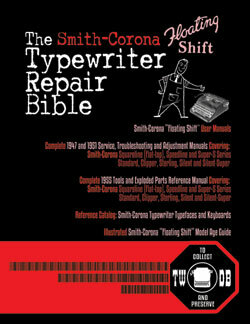 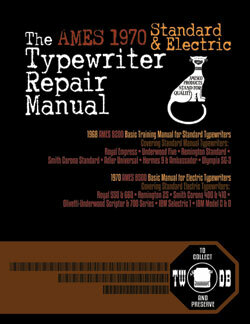 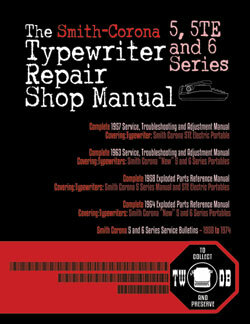 Since then I have added a few machines to my collection, which now ranges from the 1890s to the 1970s. 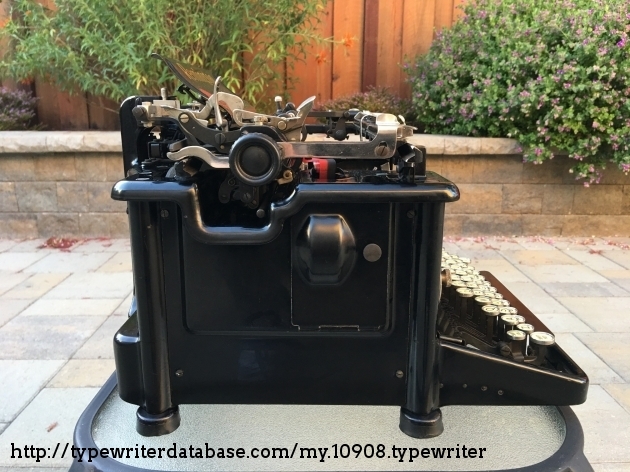 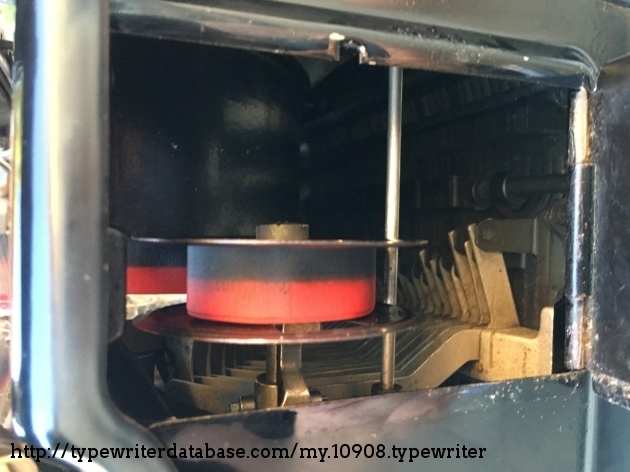 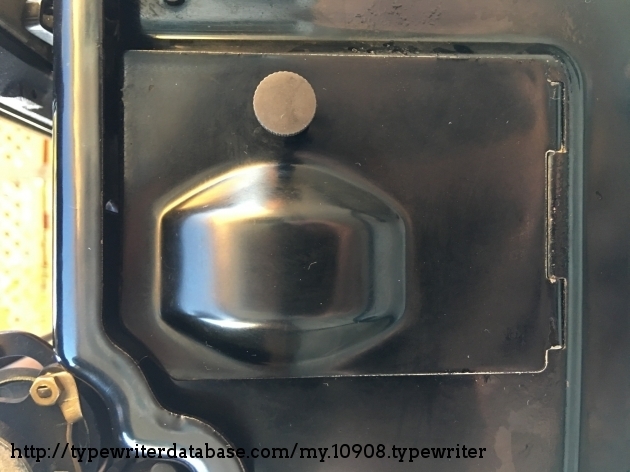 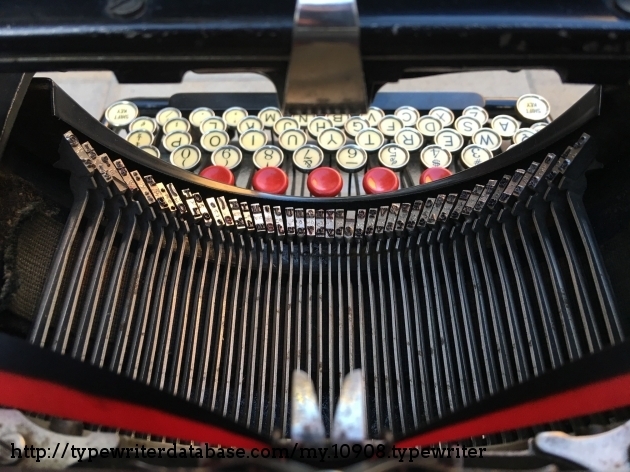 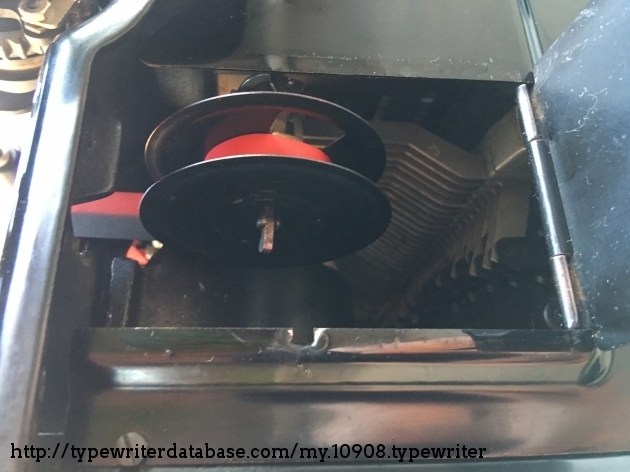 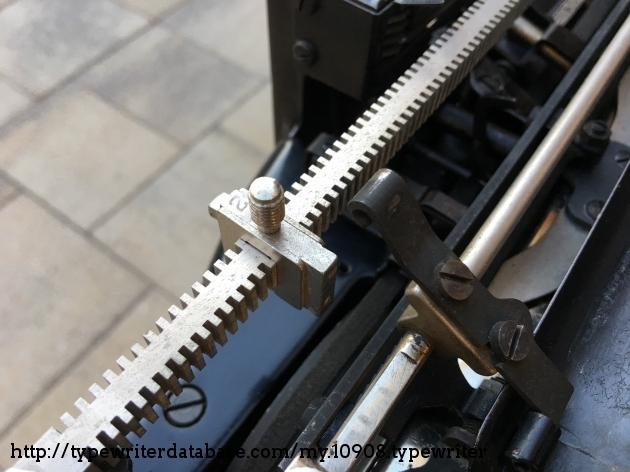 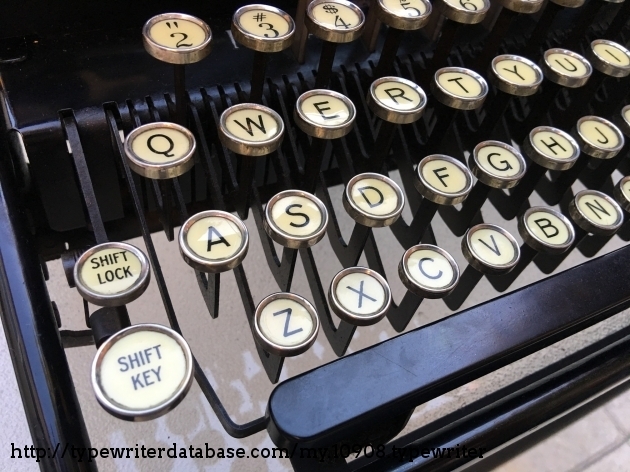 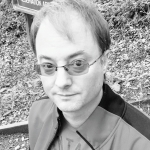 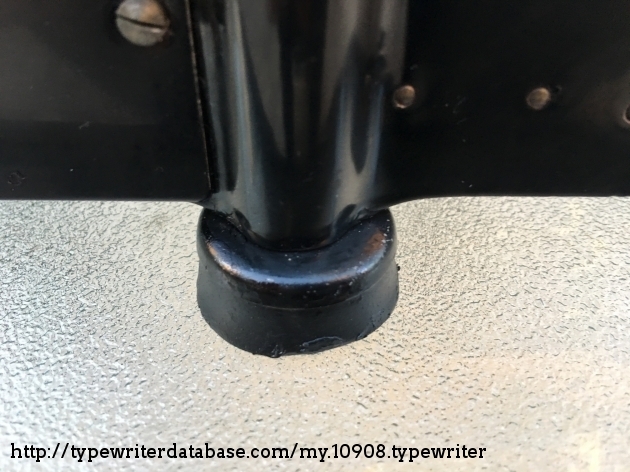 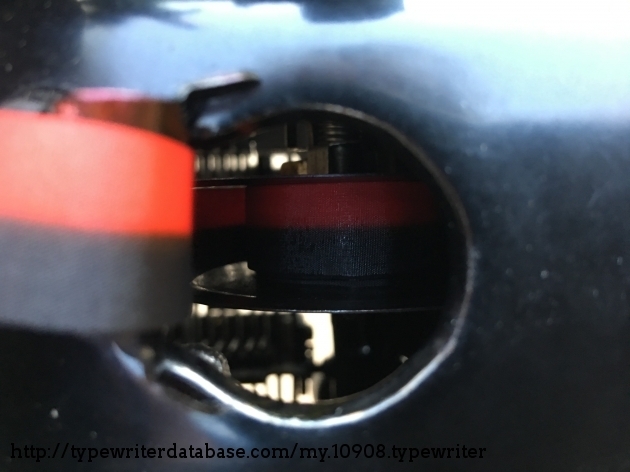 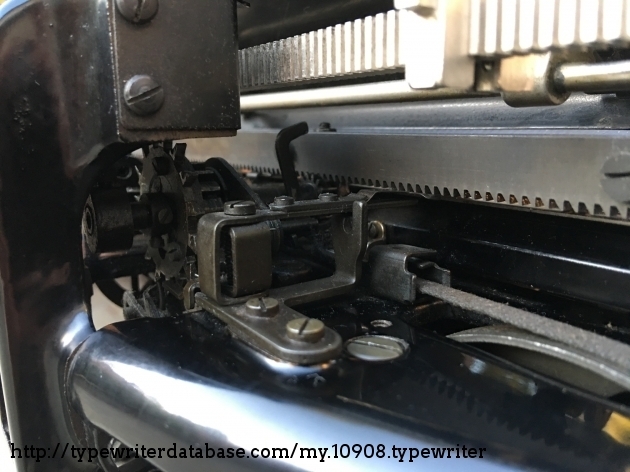 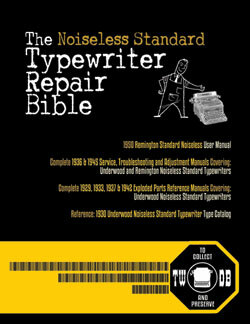 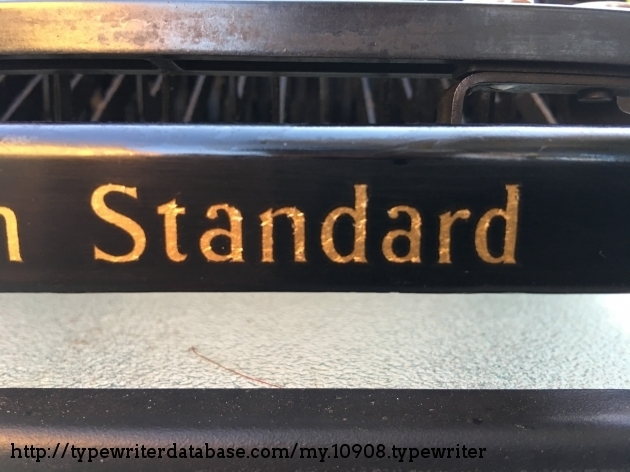 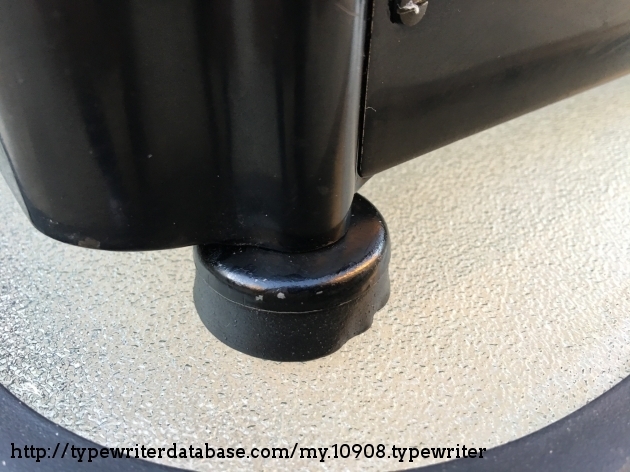 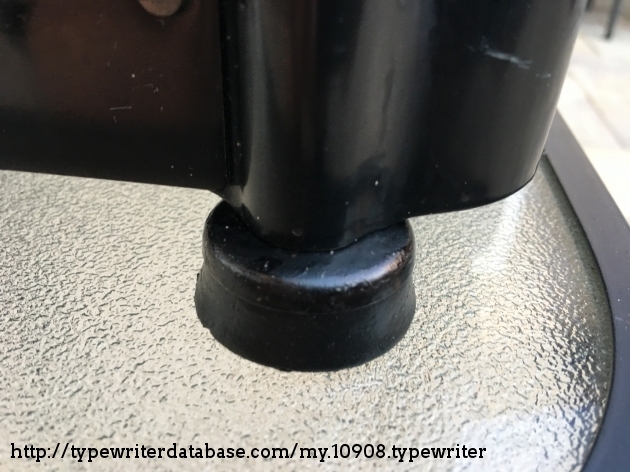 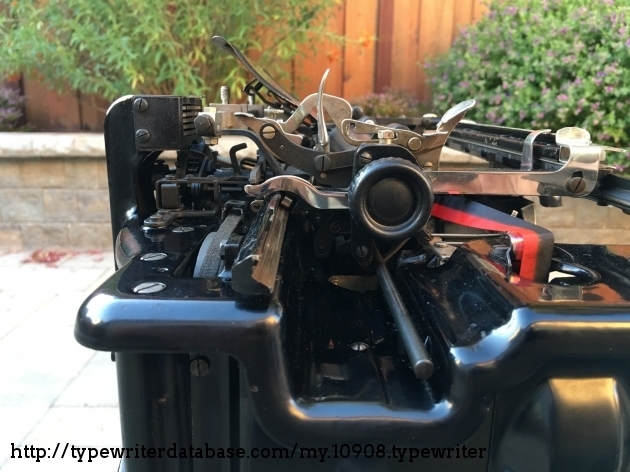 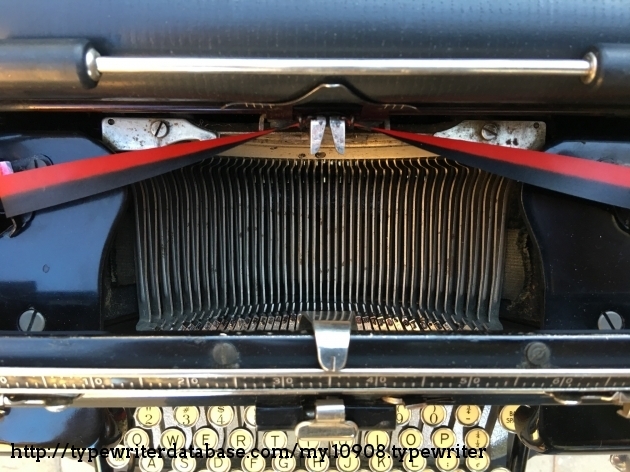 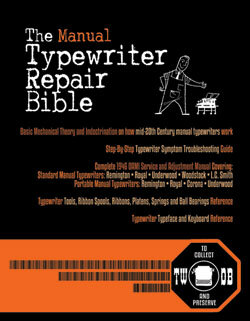 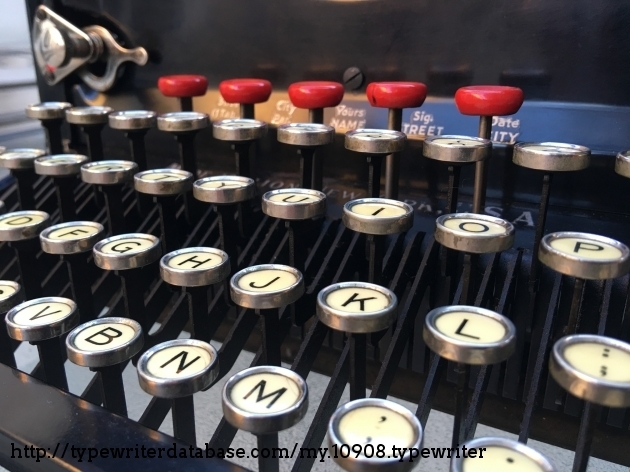 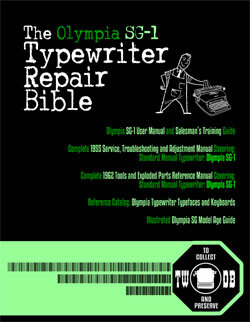 As of June 2018, most of my machines are big standard (desktop) typewriters, with some exceptions.